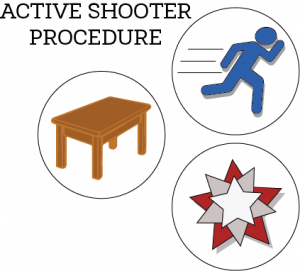 Home » Macalester’s new active shooter procedure: Run. Hide. Fight. Macalester is implementing new security training for active shooter situations in accordance with a new nation wide policy. Graphic by Maya Rait. In the last few years, mass shootings and campus shootings have become all-too-familiar sights on our TV screens and in our newspapers, across the country and throughout the world. In response to this, the Macalester College Incident Management Team is subscribing to a new procedure model for the community in the event that an active shooter situation develops on campus. The new model, which is already in place at many schools in the area and has been endorsed by the Federal Bureau of Investigation (FBI) and the Department of Homeland Security, consists of three parts: Run. Hide. Fight. “It’s kind of like the ‘Stop, Drop and Roll’ for fire emergencies. 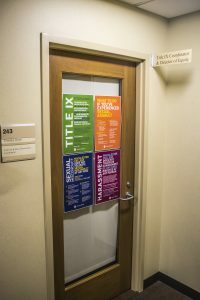 It’s basically a three word acronym that is meant to get you to understand and visualize three things that you can do in an active shooter situation,” said Steve Jorgenson, Macalester’s Security Manager. While most students may be more familiar with the ‘Shelter in Place’ model, this new procedure is said to give individuals more flexibility to make decisions as the situation evolves. “You don’t necessarily need to fight; you can either be passive or you can be aggressive. 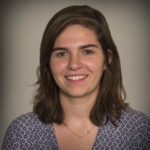 It’s your choice, but you have to make a decision about what you’re going to do,” Jorgenson said. The model encourages physical aggression or attempts to incapacitate the active shooter as a last resort, when an individual’s life is in imminent danger. So far, the Incident Management Team’s efforts have been focused on campus-wide awareness and preparation. Flyers detailing the new procedure are posted in every building. 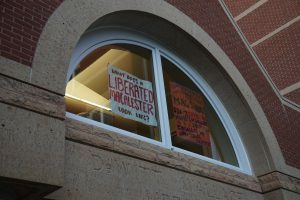 Daily Piper postings have been advertising the model, and certain physical changes have been made to classrooms so that they lock from the inside. Eventually, Jorgenson and Wirth want all emergency response procedures, including the ‘Run. Hide. Fight.’ model to be a part of first-year orientation. Jorgenson has also planned for FBI Special Agent Joe Malhoit to come talk about the model to students at several times throughout the month. On Monday, Special Agent Malhoit gave his first of three presentations. “We like [the revised model] because it works in every circumstance—[for example,] a church, a school or an office to give examples. It gives options,” Malhoit said, echoing Jorgenson’s previous comments. Jorgenson explained that it never seems like there is a right time to implement these trainings and new security measures.